We are a small "home-based" business located in Elliston , Montana ( SW Montana ) & was established in 1999 . All work is personally done by the owner , Steve Wisler . My experience ranges from a teen-age fixer-upper , to professional auto refinisher starting as a painter in 1975 . All work is done in-shop with the exception of engine & transmission rebuilding which is done at a local machine shop . Our restorations are done one-at-a-time . Each restoration receives our undivided attention until it is completed . Please contact us for cost estimates . We also do small repairs & modifications . We appreciate all who contact us & are glad to hear from you , even if all you want are questions answered or to just talk Bronco's ! I officially " retired " at the beginning of 2016 but plan to keep working as long as I can , at least part time . I don't plan to take in any total restorations any more . I will still take on body & paint plus repairs such as disk brake & power steering conversions & wiring harness upgrades . Check in to see what I'm up to . I'm going to throw this out there .... If you're interested in or needing restoration/repair advise I can provide such a service . 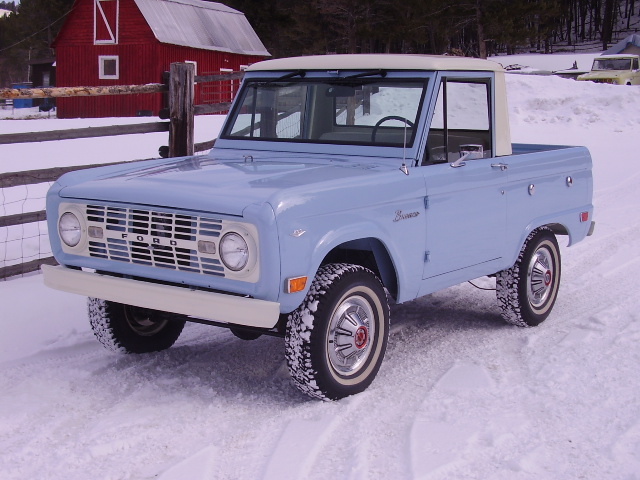 Typically the new owner has no idea where to start or what is a good or not so good modification . 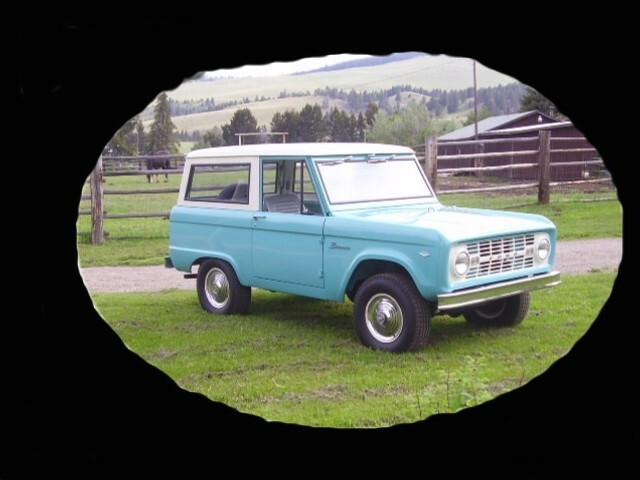 I have been providing such info for years but mainly for those who send their Bronco to me for restoration . If you have the need contact me for further info & fee's . 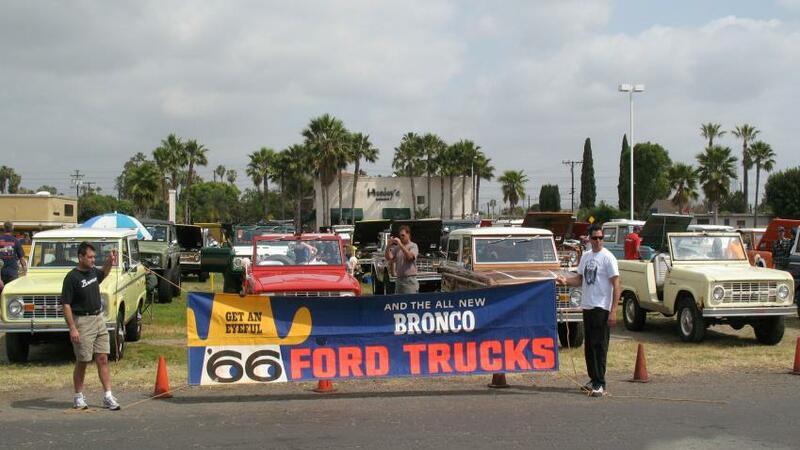 2006 celebrated 40 years of Early Bronco's ( 1966-2006) . 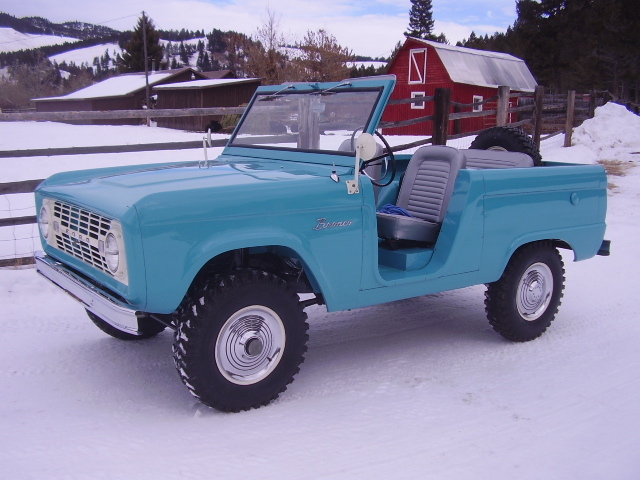 The 1966 Bronco pictured below was restored to represent those 1st year Bronco's . It can be viewed on "Restorations Page 2" by clicking on the link to the left . Also more '66's on Pg3 . > And yet more . When emailing check the spelling on YOUR email addy . I regularly get emails returned as undeliverable . I generally reply within 24 hours or less . Also check your filters .